Everest hookup wires and lead wires are manufactured using best quality raw materials, sizes and designs to meet rigid industry and government specifications. 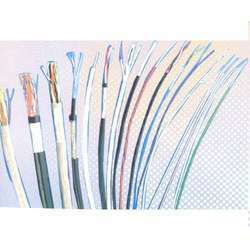 These wires are used extensively for electrical and electronic equipment, where applications range from interconnection circuits to the internal wiring of computers and data processing equipment, etc. Looking for Equipment Wires ?